I draft trousers or shorts patterns. 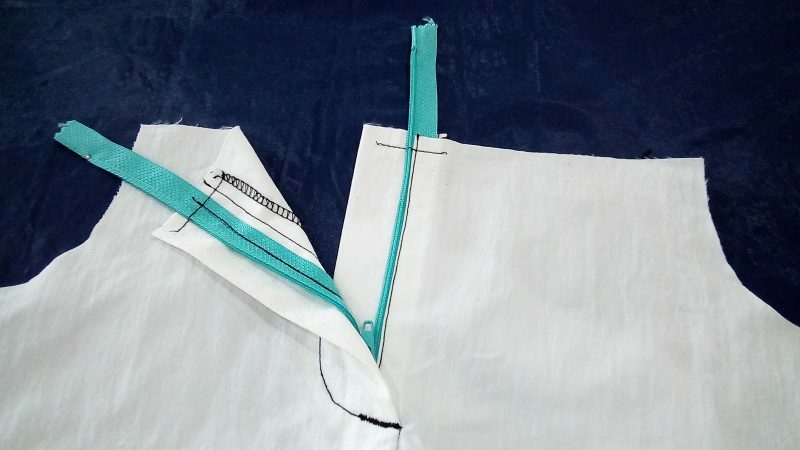 Cut 2 front trouser panels with the fly facing included. 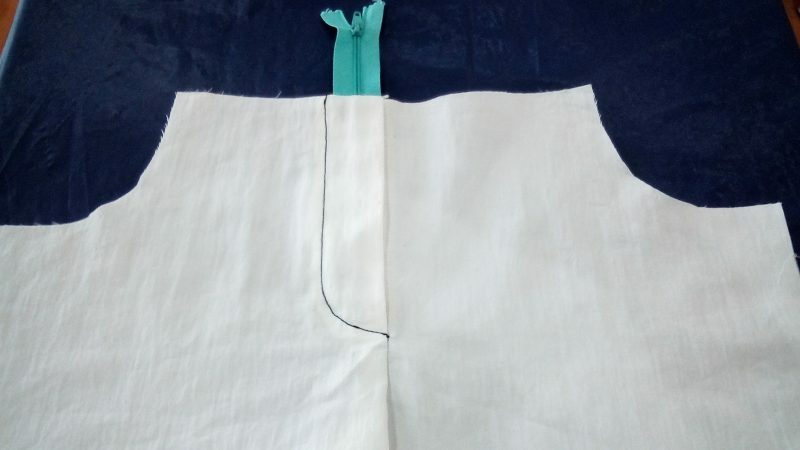 Trim 1,5 cm away from the left fly facing and overlock the raw edges. 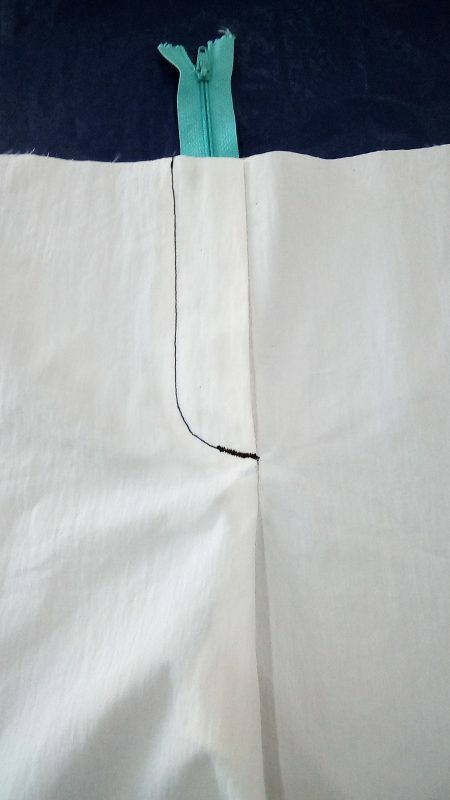 up to end of stitching mark. 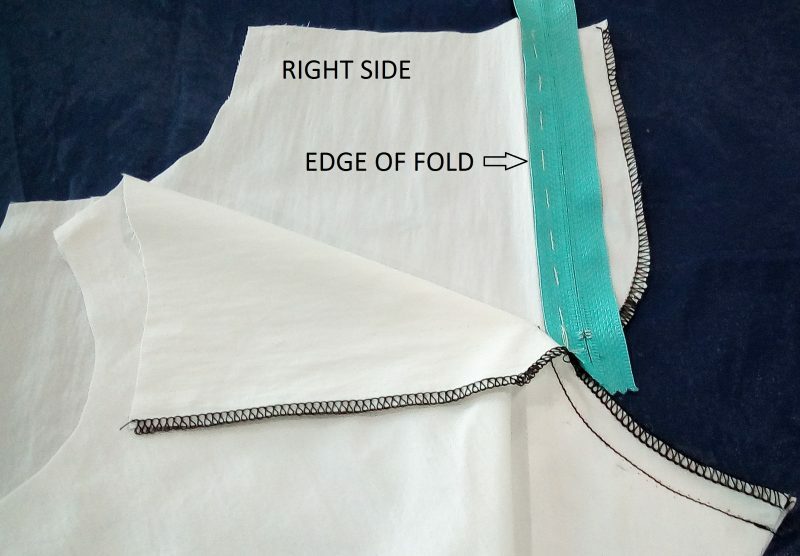 Fold the right side fly facing, along the sewing line, to the wrong side and press. Place the zipper face down on the right side fly facing. 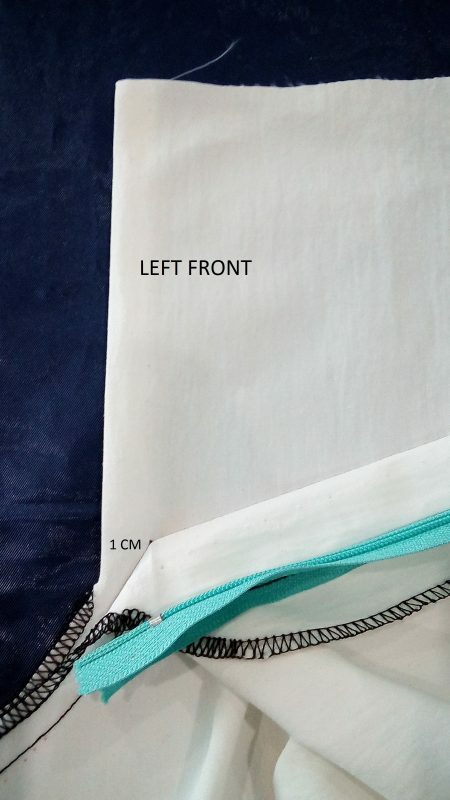 The left edge of the zipper tape, must be along the fold of the fly facing. Tack in place. 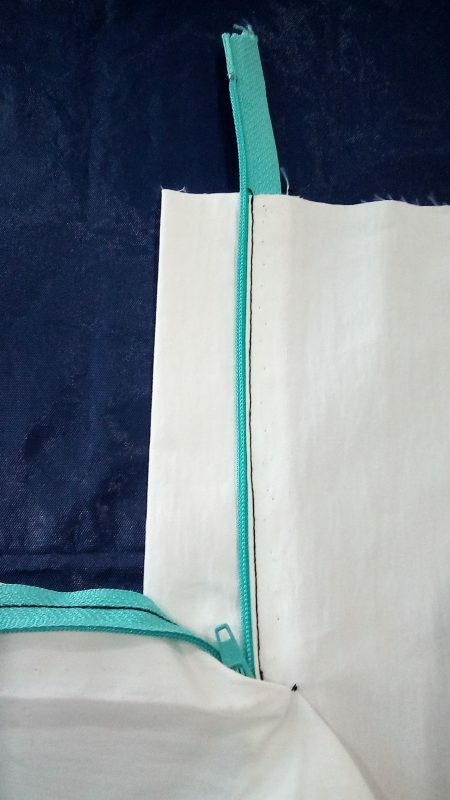 Using a zipper foot, stitch on the right side of zipper tape. 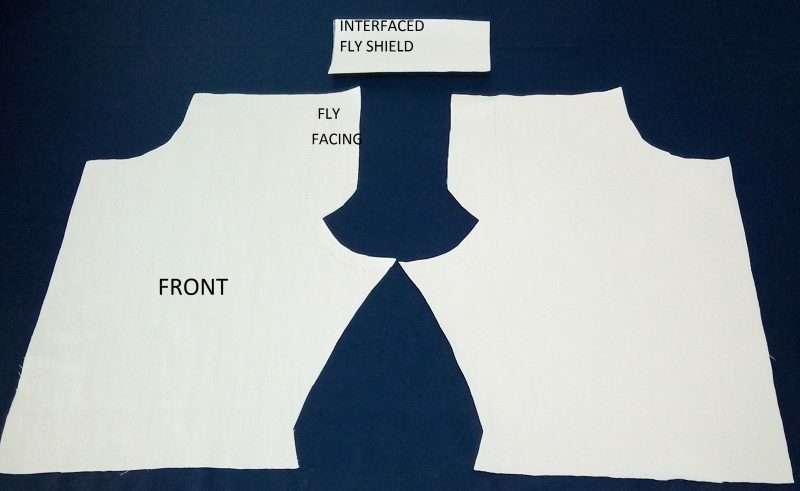 Iron interfacing on the fly shield. 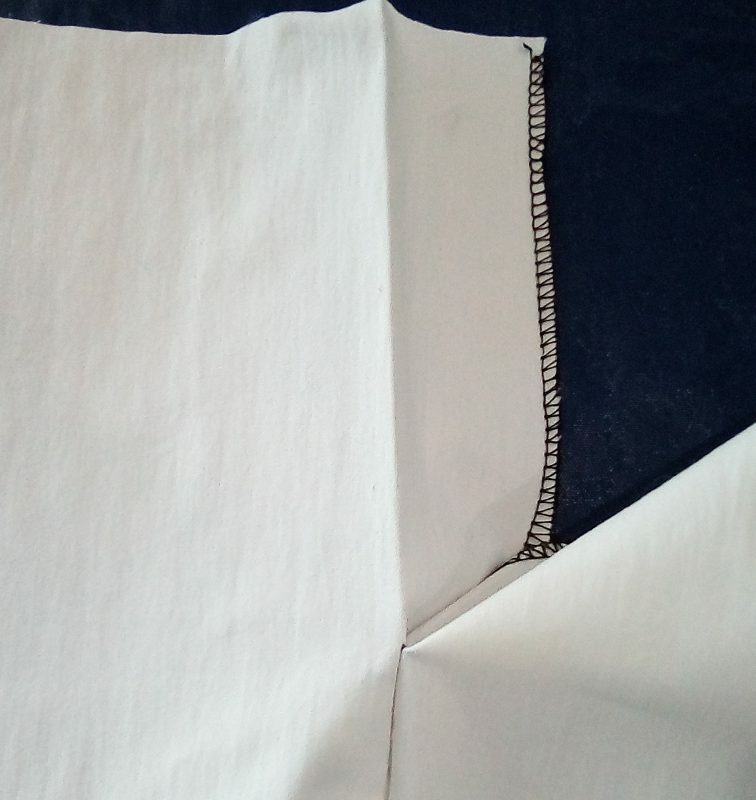 Fold it in half lengthwise and stitch a 1 cm seam on the bottom edge. 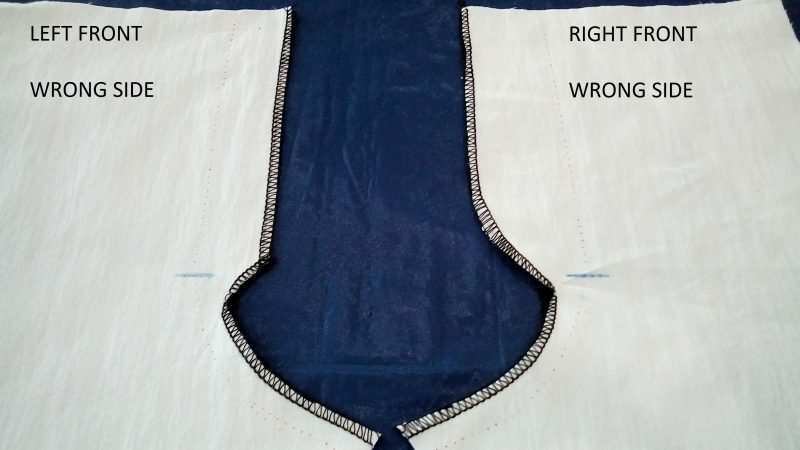 Turn the fly shield to the right side and overlock the raw edge. 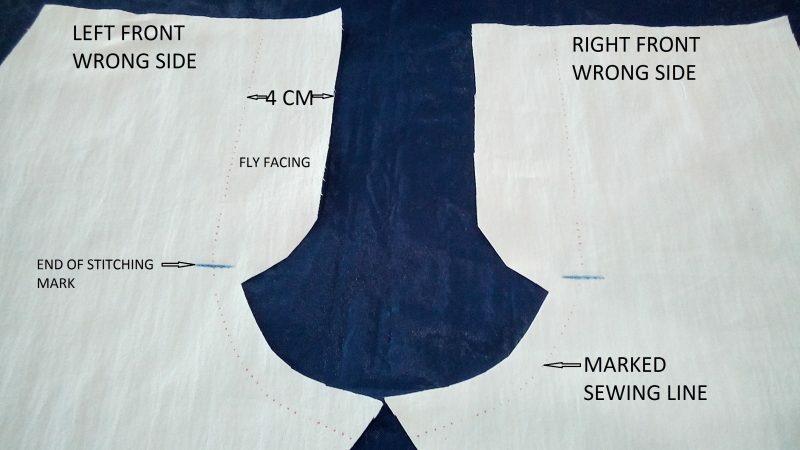 Fold the left fly facing 1 cm outward, away from the marked centre line and press. Tack the folded edge of the fly facing next to the zipper teeth. Pin and tack the fly shield at the back of the zipper. 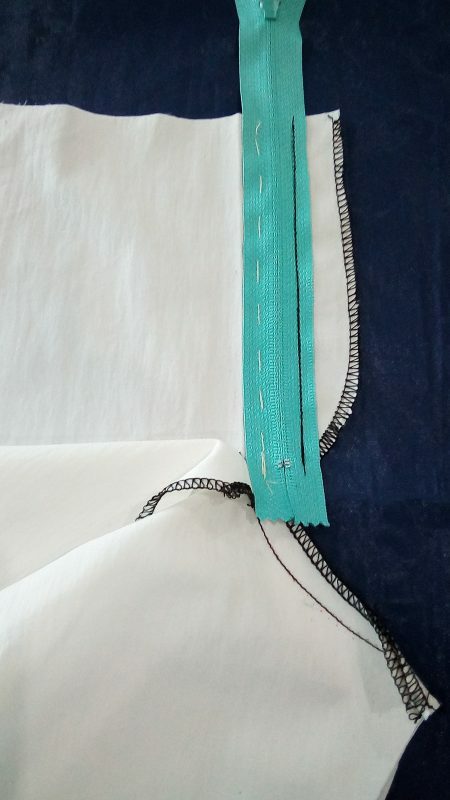 Machine stitch close to the zipper teeth. 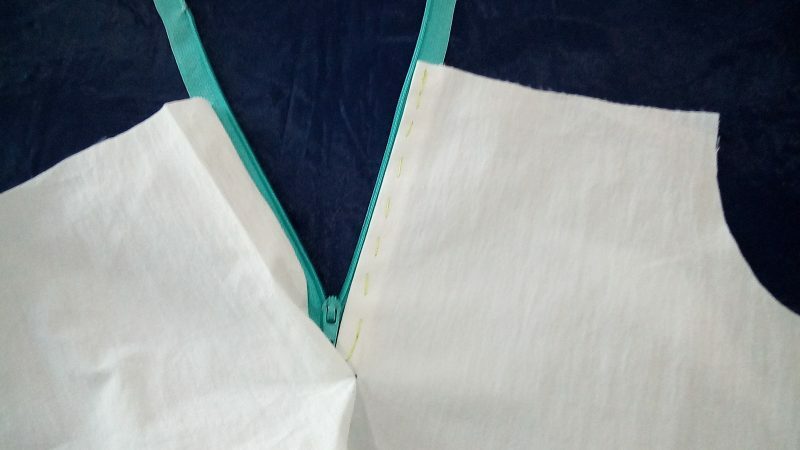 Close the zipper and turn the facing to the inside, on the pressed fold line. Pin the fly shield to the back of the front panel, away from the stitching line. Tack or pin the fly facing to the front panel. 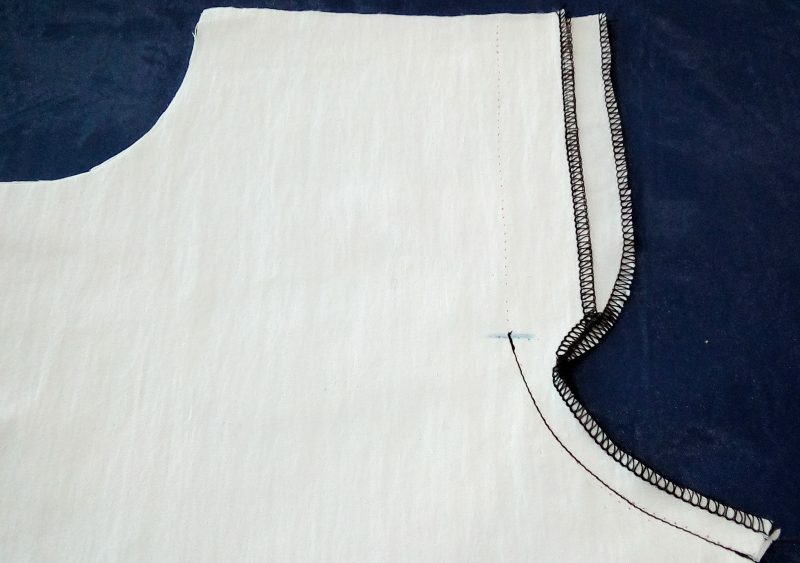 Mark the stitching line on the right side of the fly facing and topstitch the fly facing to the front panel. Sew bar tacks at the bottom seamline. 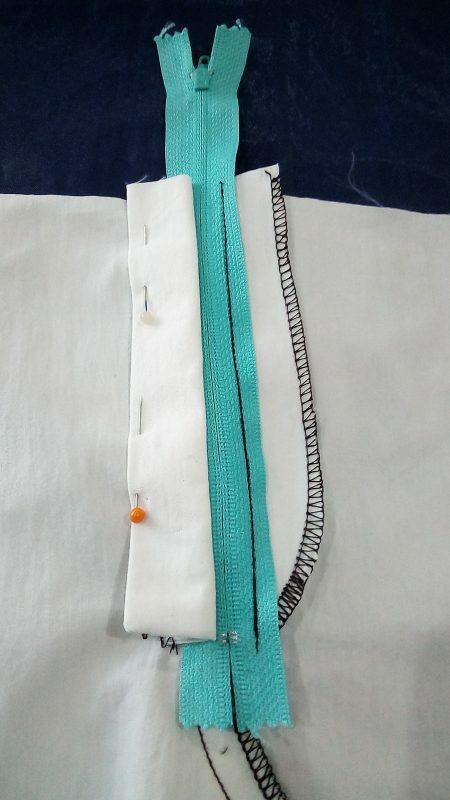 Sew across the zipper tapes while the zipper is open. 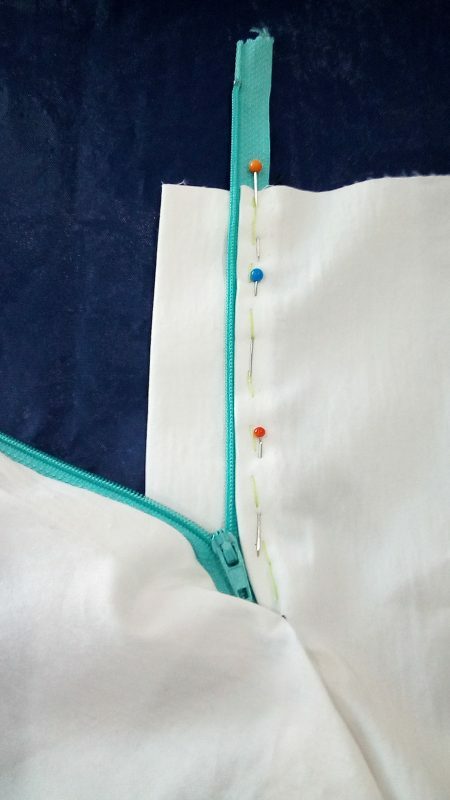 Cut the zipper tapes just before you attach the waistband.